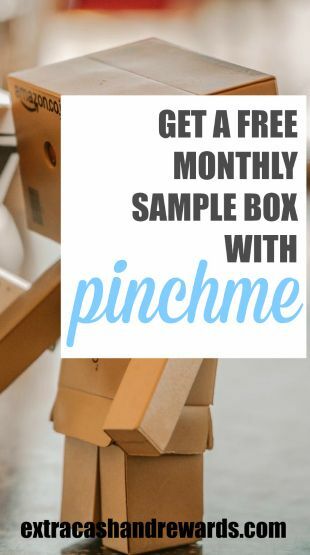 PINCHme Review - Do You Want To Get A Box Of Free Samples Monthly? I'm sure you enjoy getting free samples. I mean, who doesn't? I know I do. If you do, too, I really think you'll be interested in signing up to get PINCHme free samples! This company has a monthly box of goodies you can request. All they ask is your opinion on the samples after you've tried them all. In the PINCHme review below, I explain how it works. As mentioned above, this is a company that sends out boxes of free samples. PINCHme act as a “middle man” for brands. The brands want to get their new products into your hands. PINCHme can make this happen for them by acting as the go-between. Plenty of people want these samples, so it's not that hard for PINCHme to find eager consumers to sign up. In fact, most people are so happy to get freebies, they don't mind giving their opinions after the fact. And this is what the brands want. They need to know how new products go over with average consumers before putting them on shelves. Go to PINCHme and create your free account. They ask for your first and last name, email, DOB, gender, and zip. Or you can just sign up with Facebook to simplify things. Once you're in, you should fill out your “About Me” section so the company knows what kind of samples to offer to you. This can take time to fill out, but PINCHme claims you'll be eligible for more samples if you fill it out. Once a month on “Sample Tuesday,” there is a box of freebies to claim. You get some choice over what's in the box, just add things you think you'd like. It's important to be quick. The samples run out fast. They'll email you to let you know when it's available. It's always at noon Eastern time on a Tuesday in the month. Sometimes the exact date to check for the samples is visible on the homepage. After you've requested your samples, you get them in a few weeks. Try them out, and then answer the feedback survey PINCHme sends you within 30 days. If you don't answer the survey, you won't be eligible to receive more samples in the future. You'll notice there are other ways to get freebies throughout the month, too. PINCHme has surveys you can answer for tokens that are redeemable for special sample boxes. PINCHme is legit. I'm a member, and I've gotten samples from them before. My experience was good. The samples didn't take that long to get to me, and it was a fun experience. If you search for PINCHme reviews online, you'll find most people love getting the samples. That said, the whole surveys and tokens thing doesn't go over as well. Some people find that it takes too long to build up the tokens and it's just not worth the time spent for freebies. However, you don't have to participate in the surveys/tokens part of the site. It's just for people who want to qualify for extra samples. If you're not interested in surveys, just sit back and wait for “Sample Tuesday” each month to grab the box of freebies that everyone has a chance at. Click here to visit the PINCHme site and begin creating your account. Good luck, and please comment below if you've used PINCHme. Tell us what you thought about it. We also have a list of seven other product testing websites if you want more options for doing this. I am a member, did they tell you that you have to answer quizzes to get some of the boxes? Sometimes you don’t get a box at all. I have been a member over 2 years now.